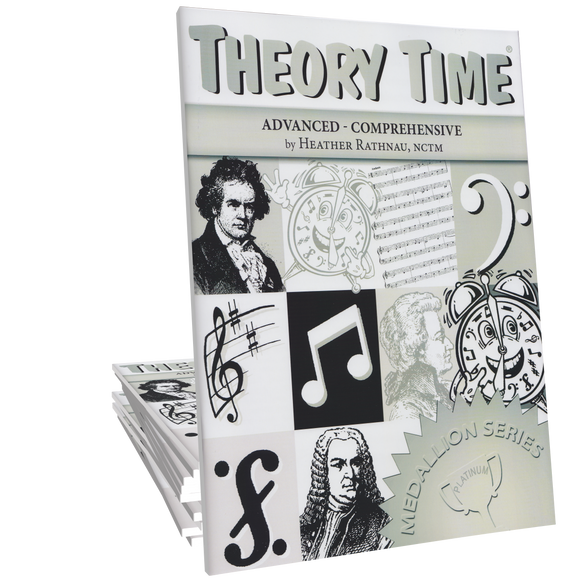 The Theory Time Medallion Series Platinum workbook covers the Advanced levels of music theory. By working through the Platinum workbook, a student will cover the concepts taught in Grades Nine & Ten in the original workbook series. This workbook is appropriate for students who have a solid understanding of the Theory Fundamental through Intermediate levels (Primer through Grade 8 in the original Workbook Series.) 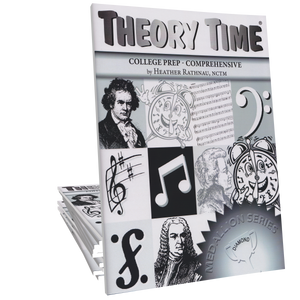 The Platinum workbook will prepare a student for the College Prep Level in the original Workbook Series. Upon completion, a student will be ready to work in the Diamond Level or in the Grade Eleven workbook of the original Workbook Series. 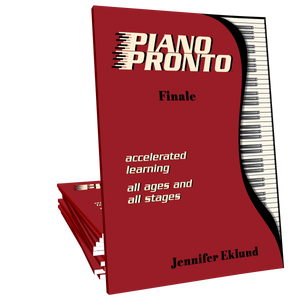 Concepts covered: spelling Major triads, chromatic & diatonic half steps, rhythm, key signatures, primary chords in inversions, Major & three types of minor scales, melody writing in Major and melodic minor, transposition, classification of intervals by type & size, exact same pitch, enharmonics, harmonic & melodic intervals, altering intervals, tritone, parallel keys, chromatic & whole tone scales, diatonic scale & chords, scale degrees, chords on a grand staff with figured bass, seventh chords, V7 chords in root position & inversions, simple, compound & asymmetrical meter, note groupings, 32nd note & rest, authentic, half & plagal cadence, voice-leading rules, four-part harmonic analysis, general voice-leading rules, sight-singing and vocabulary. 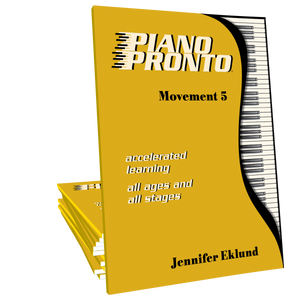 Other info: Accelerated pacing is ideal for older beginners and adults. 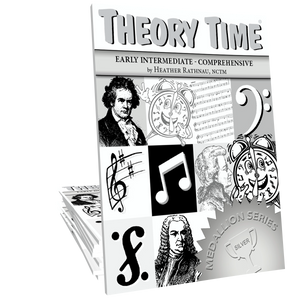 The Theory Time Medallion Series Platinum workbook is appropriate for students who have a thorough understanding of the Theory Fundamental concepts covered in the Gold workbook or Primer through Grade 8 of the original Workbook Series. Upon completion of the Platinum workbook, the student will be ready to enter Grade Eleven (College Prep) of the original workbook series or the Diamond workbook in the Medallion Series. 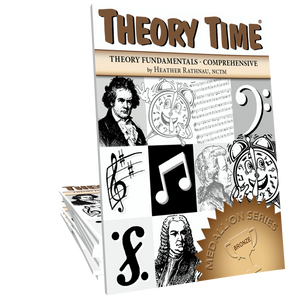 The Platinum workbook covers the late-intermediate level of music theory which includes the concepts taught in Grades Nine and Ten from the original workbook series.